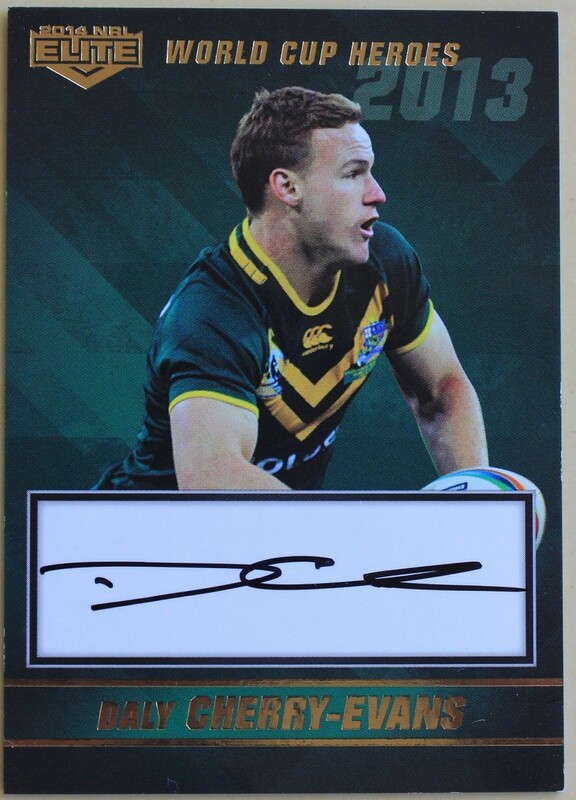 For sale is a 2014 ESP NRL Elite - Dale Cherry-Evans Signature Case Card - numbered 70/70. Will be shipped via regular postage Australia wide. Express also offered. Please read shipping tab for full details. International customers please message before purchasing. Will be shipped via regular postage Australia wide in a 3kg satchel. If you would prefer express shipping than it will cost $14.80. Please message and ask for invoice with express postage. International customers please contact me first before purchasing.